London College of Communication students collaborated with technology giant Intel on a three-week exploratory design project, focusing on new opportunities to adopt and seamlessly integrate environmental sensors into daily life. Small teams of students from both MA Interaction Design Communication and MDes Service Design Innovation courses worked with sensors monitoring noise, light, proximity and air quality, developing prototypes and service scenarios for future applications. How can sensors encourage pedestrians to cross the road safely?Students built a prototype pedestrian crossing with piano keys replacing the usual black and white markings. 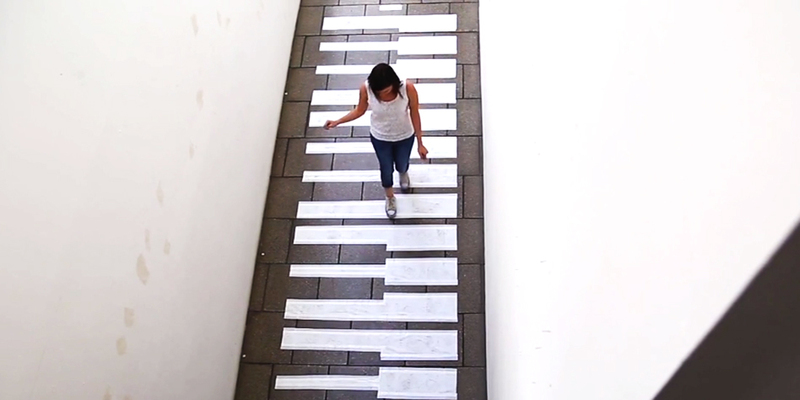 When the light for pedestrians is green the keys will play a musical melody when stepped on. But when the lights are red it plays a noisy cacophony, warning people not to linger. Melody Walks is designed as a teaching tool for children learning how to cross the road. Can technology make reducing carbon reductions fun and engaging for young children?Coby is a soft toy with a barcode scanner inside. Users scan their shopping receipts and Coby calculates the total carbon emissions from your products. Coby then reacts to the total – a small burp if emissions are low and a big burp if they are high. Coby can teach children about carbon emissions and encourage them to choose products with less impact on the climate. 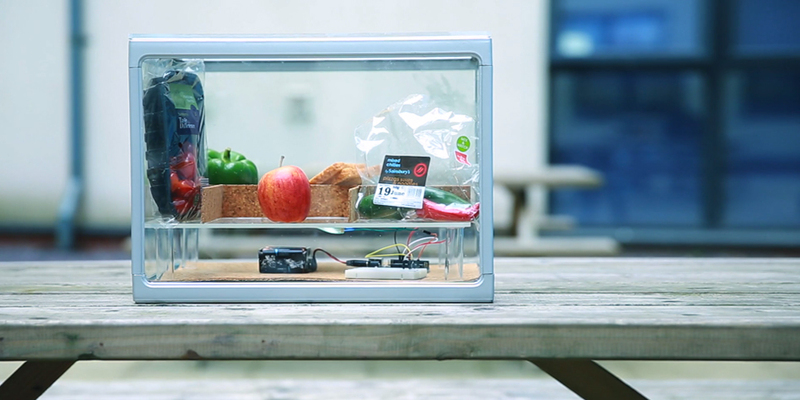 How can sensors and connected technology reduce food waste?The student’s solution is a communal “cool box” to share extra food (for example originated from buy-one-get-one-free purchases) among neighbours in a block of flats. The box senses when items are added due to the change on weight and immediately takes a picture of the new item and sends it to the scheme participants’ mobile phones, to keep them updated on the box contents. Over the course of the project the students looked at how the Internet of Things could be used to change peoples’ behaviour and to empower people to make a positive change for our environment. Melody Walks and EcoFurby were selected by Intel to be exhibited in their tent at Tech City’s Digital Summer Trip in East London. School students were also able to test the prototype and learn about Intel products.